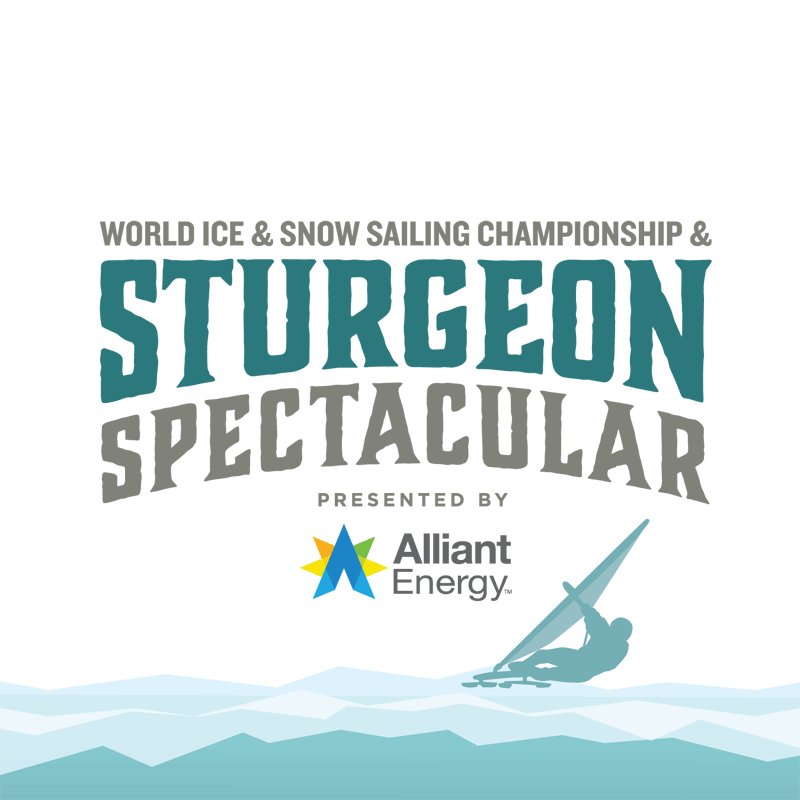 The World Ice & Snow Sailing Championship and Sturgeon Spectacular take place in Fond du Lac, WI on February 5-10, 2019! February in Fond du Lac, Wisconsin can only mean one thing – Sturgeon Spectacular – a celebration of really big fish with some really big fun. Check out our quirky and fun take on a winter festival featuring events on the ice and off the ice. Enjoy activities indoors, outdoors and throughout the community. Highlights include a kick-off parade, live musical performances by Copper Box, Road Trip Band, and Boogie and the Yo-yo’z, ice and snow carving, curling, comedy shows and the hilarious Guys on Ice show. Whether you love outdoor hockey, family-friendly activities, fat tire bike racing, drink specials or warming up near a toasty bonfire, you and your family will NOT run out of things to do at this year’s Sturgeon Spectacular! FREE EVENTS ALL WEEKEND LONG! The Running of the Sturgeon parade starts at 5:30pm on Main Street. Come join the Running of the Sturgeon or find a spot on Main Street for your best view of all the exciting floats. The party continues at Thelma Sadoff Center for the Arts, with the start of the snow sculpting competition and live music from 6-8pm by blues/rock band Copper Box. Food and drinks will be available for purchase. The best snow sculptors in the state travel to Fond du Lac to compete in the 2019 Wisconsin Snow Sculpting Competition in hopes of winning a trip to the 2020 US Championship. See professional sculptors create the most unique works of art you’ve ever seen! Bring the kids out on Saturday to create their very own. One of the most hilarious shows in the country! The Guys on Ice bring the Wisconsin culture to life in this musical about ice fishing. Matinee shows at 2pm each day, 7pm show Saturday evening. Other family-friendly comedy shows also available. Learn to Curl with USA Hockey Olympians and representatives and participate in the Inaugural Downtown Fond du Lac Funspiel. This tournament is designed to teach beginners the world of curling and have some fun in the process. Each match will last about one hour. All curling equipment will be provided. The tournament is scheduled for Saturday & Sunday. Open to all ages and levels. Find more information at fdl.com/ss. The Yo-Yo’z will be rocking Oven Island at Lakeside Park in our heated shelter. Enjoy the music and watch the 2019 Sturgeon Queen be named. For the adults, beer and wine coolers will be available until the party’s over. For the rest of the family, come enjoy the bonfire, DJ, dancing and ice skating. For a full list of events and times, please visit FDL.com/SS – you’re sure to find something for everyone! We’ll see you at the 2019 Sturgeon Spectacular, only in Fond du Lac!